Last weekend, many of the KCTL volunteers gathered at Tompkins early for a special day. 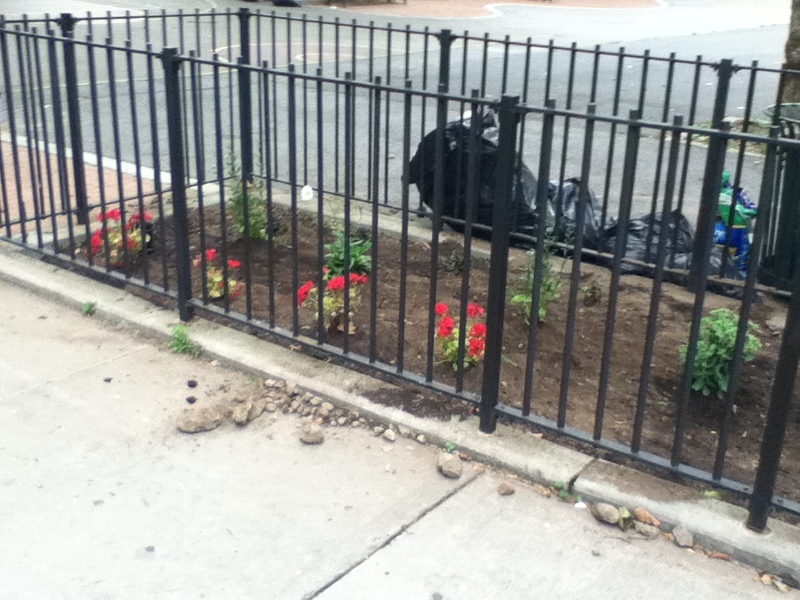 Thanks to a grant from the Citizens Committee for NYC, we spent the day beautifying the area around the blacktop courts at Tompkins Houses, including picking up litter, raking up old leaves, pulling weeds, churning soil, and planting new flowers and plants. I was impressed by two things: how much the kids enjoyed digging up the dirt and working with tools, and how committed our volunteers are who worked all day long to finish up the project. After all the hard work, the kids are looking forward to tennis next week! Check out all the photos of Beautification Day on Facebook. Again, a special thank you to Citizens Committee of NYC for their support and donations.